Florida is one of the best places to retire in America. But how much does it really cost for a dream retirement in the Sunshine State? We just collaborated with journalist Hillary Hoffower of Business Insider to calculate what the typical retiree really needs to stake out their place in the sun. The rules? Our “typical” retiree had to buy a “typical” house in each city. That means one purchased at the median price, which varies according to the locale. Each couple had a $150,000 cash down payment to purchase their home, with the balance mortgaged. Each retiree couple earned $27,000 per year in Social Security benefits. The rest of their spending had to come from portfolio income. No surprise. It takes a bigger portfolio – and more money – to pay the bills in Boca Raton, as compared with Orlando or Jacksonville. As it turns out, living in the Sunshine State isn’t really bargain basement material. Homeowner’s insurance here is the priciest in the country. Health care costs and auto insurance also come at a premium. And real estate, especially in South Florida, is well above the national average. Take a look and let us know how your costs compare. We have clients who live well on less (sometimes much less) because they’re experts at managing their budget, and others who get by perfectly well, thank you, supplemented by a workplace pension or part-time job. 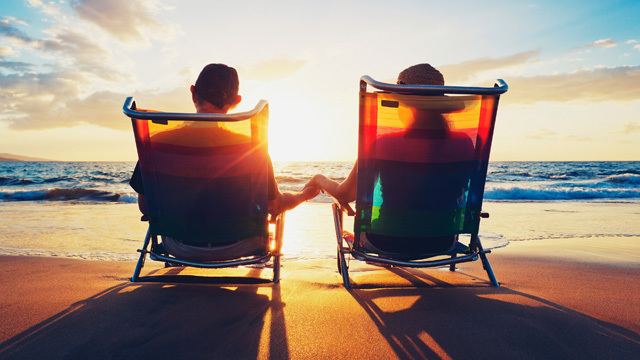 What do think you’ll need to fund your dream retirement in Florida? ← Trade Wars: What Will Happen With China?